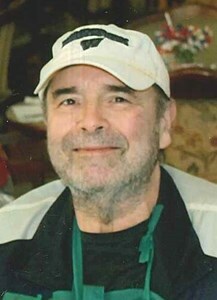 Donell Lee “Don” Baker, 70, of Topeka, passed away Thursday, November 22, 2018 at Midland Hospice House. He was born May 6, 1948, in Ft. Scott, Kansas, the son of Lloyd Robert and Bertha “Aileen” (Hughes) Baker, Sr. He was a 1966 graduate of Topeka High School and received a Bachelor’s Degree in Business from Washburn University in 1971. Don was retired from Southeastern Public Service Company in Topeka. Survivors include his sister, Kathy (Matt) Reeb; his brother, Lloyd (Brenna) Baker, all of Topeka; 7 nieces and nephews, Michael Endsley and his children, Logan and Garett, Kevin (Heather) Endsley, and their children, Jenna and Levi, Chad Reeb, Tracy Baker, Christy (John) Haertling, and their children, Declan and Brooklyn, Kelly (Brandon) Bergman and Adam (Jordan) Baker. He was preceded in death by his parents; and his sister, Carol York. Don enjoyed reading, music, sports, including Washburn University, KU and K.C. Chiefs. He also enjoyed collectables, square dancing and socializing with his friends at Thornton Place. Honoring Don’s request, cremation is planned. A private family celebration of his life will be held at a later date. Dove Cremations and Funerals, Southwest Chapel is assisting the family. Memorial contributions may be made to American Diabetes Association, PO Box 11454, Alexandria, VA 22312. To leave a special message for Don’s family, please click the Share Memories button above. Add your memories to the guest book of Donell Baker. I am just now seeing the obituary for Don. I am not good about reading obituaries in the paper.